Our Gold Leaf Clients can answer that question! At First Choice Tree Care, our approach to complete tree & shrub care includes periodic free check-ups of our Gold Leaf clients' properties to monitor the trees & shrubs for existing or potential maintenance needs. Preventative measures are more effective and less expensive than trying to 'save' ailing trees. Any past customer of First Choice Tree Care is eligible to sign up as a Gold Leaf client. 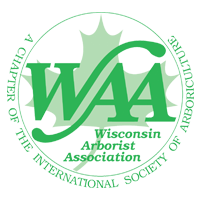 Seasonal checkups by your ISA Certified Arborist! Regular updates on topics concerning your trees! Free diagnostic services (normally $49)! Top-of-the-list call priority in the event of emergency storm damage! Personal, professional service by arborists you know!